Are you ready to get in shape? 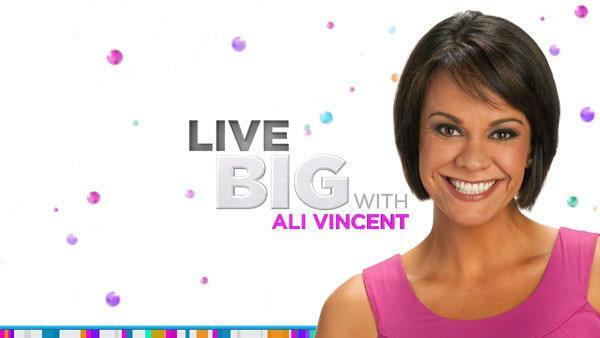 Ali Vincent has a challenge for you! She has created a Live Big 30 Day Challenge that will improve your strength and endurance... and help you achieve your fitness goals for the New Year! Are you up for the challenge? Tell Ali how you are doing on her Facebook page -- facebook.com/officialalivincent -- and on her Twitter page -- twitter.com/alivincent. It's day one of the Live Big 30 Day Challenge. It's day two of the Live Big 30 Day Challenge. It's day three of your Live Big 30 Day Challenge. It's day four of your Live Big 30 Day Challenge. It's day five of your Live Big 30 Day Challenge. It's day six of your Live Big 30 Day Challenge. It's day seven of your Live Big 30 Day Challenge. It's day eight of your Live Big 30 Day Challenge. It's day nine of your Live Big 30 Day Challenge. It's day 10 of your Live Big 30 Day Challenge. It's day 11 of your Live Big 30 Day Challenge. It's day 12 of your Live Big 30 Day Challenge. It's day 13 of your Live Big 30 Day Challenge. It's day 14 of your Live Big 30 Day Challenge. It's day 15 of your Live Big 30 Day Challenge. It's day 16 of your Live Big 30 Day Challenge. It's day 17 of your Live Big 30 Day Challenge. It's day 18 of your Live Big 30 Day Challenge. It's day 19 of your Live Big 30 Day Challenge. It's day 20 of your Live Big 30 Day Challenge. It's day 21 of your Live Big 30 Day Challenge. It's day 22 of your Live Big 30 Day Challenge. It's day 23 of your Live Big 30 Day Challenge. It's day 24 of your Live Big 30 Day Challenge. It's day 25 of your Live Big 30 Day Challenge. It's day 26 of your Live Big 30 Day Challenge. It's day 27 of your Live Big 30 Day Challenge. It's day 28 of your Live Big 30 Day Challenge. It's day 29 of your Live Big 30 Day Challenge. It's day 30 of your Live Big 30 Day Challenge.